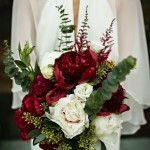 A statement wedding bouquet with a complicated arrangement is the latest trend that has our eyes glued to the screen picking out all the tiny details of each design. 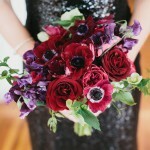 With the dark red being a color of the last year many brides went for dark floral arrangements that make for astonishing wedding decor. 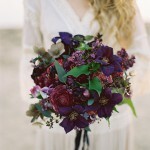 Here are the best dark flowers to use in your statement wedding bouquet. 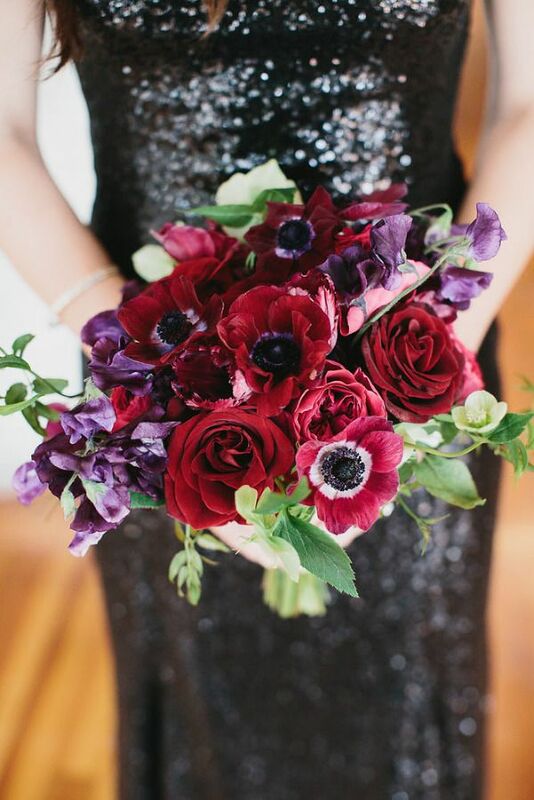 Dark purple ranunculus is an amazing bloom. 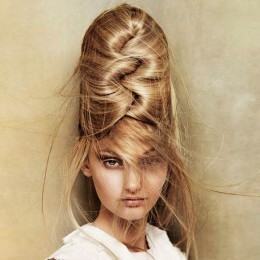 It is complex and lush and makes a beautiful bouquet flower. 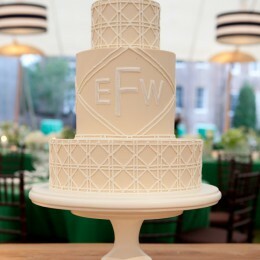 It goes well with peonies, roses, and dahlias. 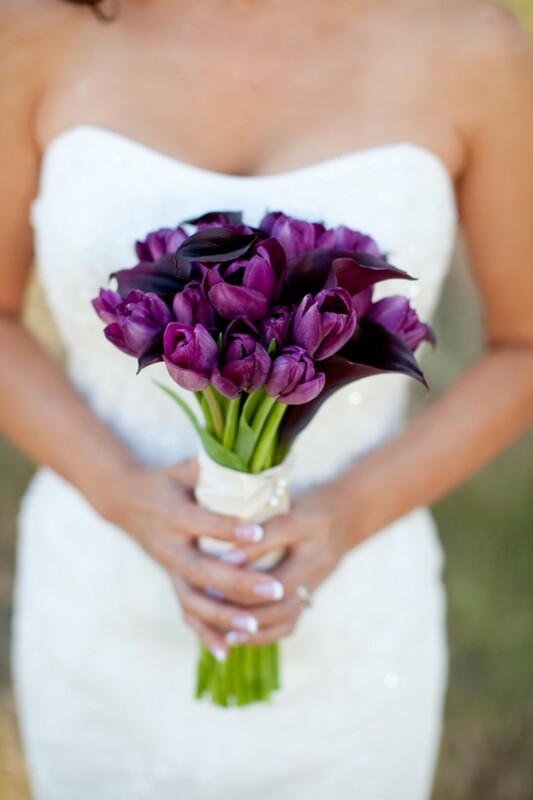 Callas are the ultimate flower that looks hauntingly beautiful in deep purple. 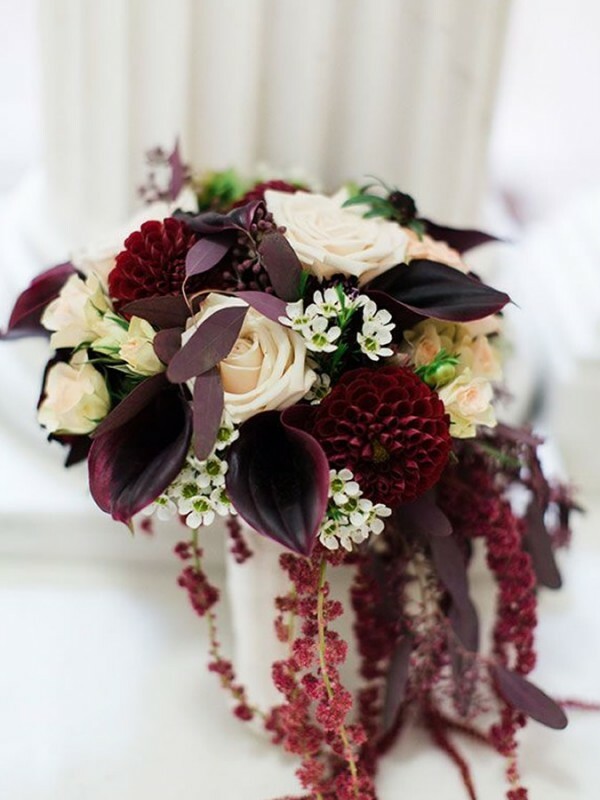 They look stunning all by themselves (especially in more generous bouquets) and it also works greatly with dark roses, dahlias, and other flowers. 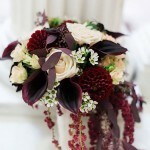 Dark Merlot Dahlias make a gorgoues addition to a lighter bouquet. 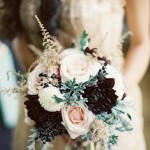 Its perfectly layered petals stand out starkly against cream roses and peonies. 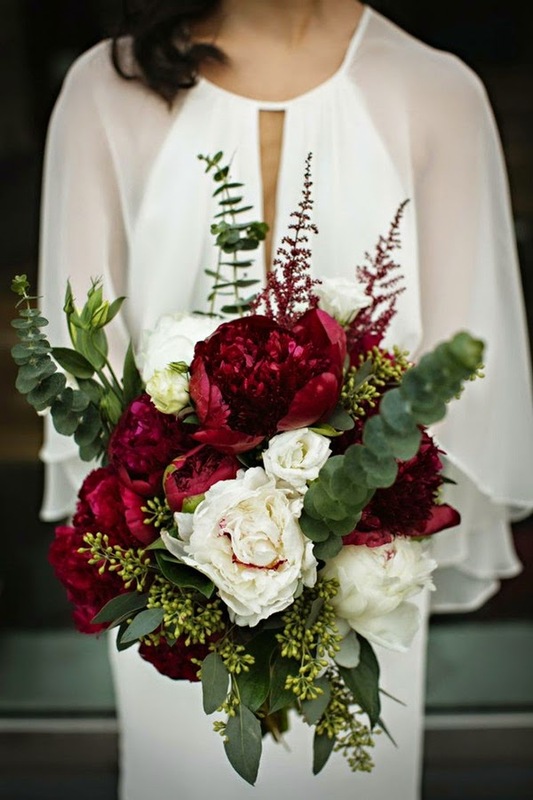 Speaking of peonies, these beauties come in dark red, so don’t miss a chance of carrying a handful of drama that would turn heads in admiration. Anemone is great in white. 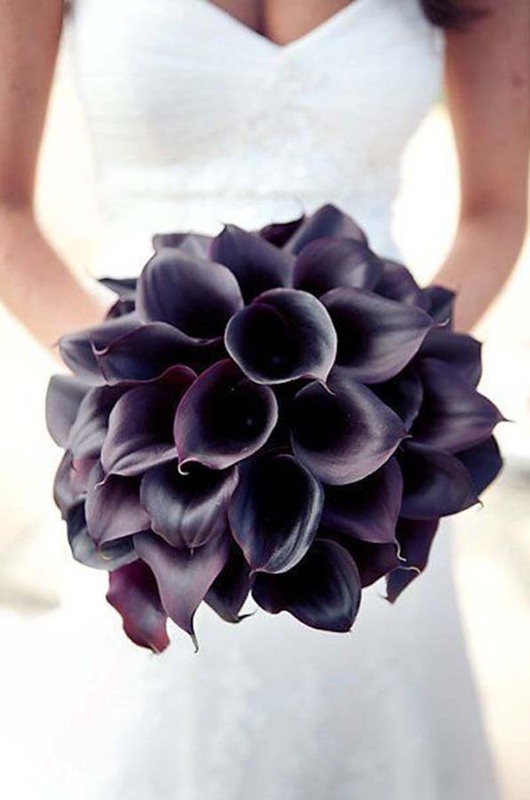 Its black heart contrasts beautifully with pristine petals but its dark purple sister isn’t that bad either. 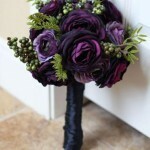 It will add a bit more darkness to the bouquet with their black hearts. 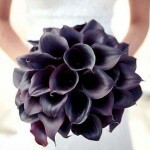 Deep purple tulips are a sight. 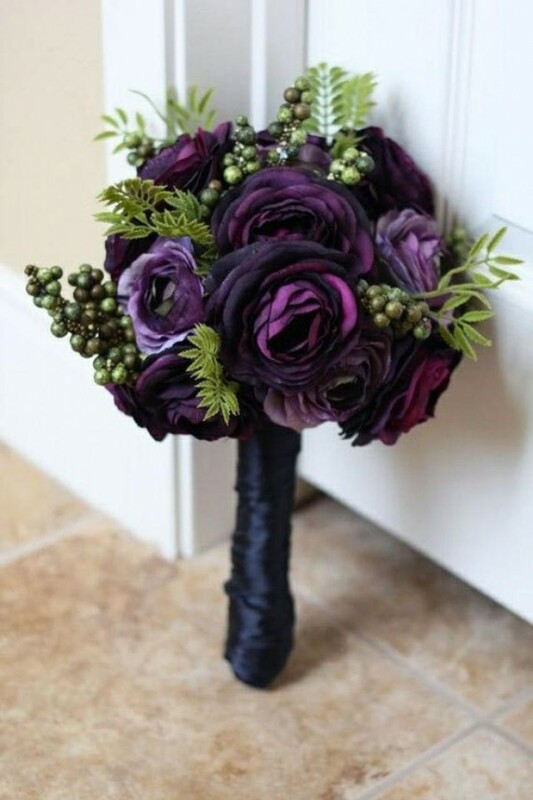 They look completely mesmerizing on their own but can also work in a bouquet. 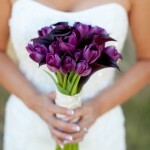 They are just as glossy as callas but give off more purple than black red. 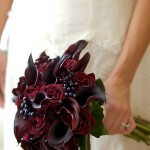 Many florists today use lots of additional filler in the bouquets. One flower type bouquets with secondary plants just aren’t cutting it anymore. 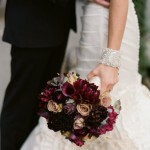 Anything goes into it, from berries to succulents to countless statement and simple greens. 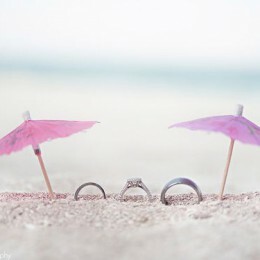 And it’s amazing how those complex arrangements actually work. 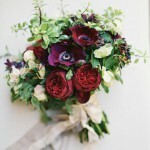 Many of these flowers seem so independent but when cleverly arranged they look simply fantastic together.